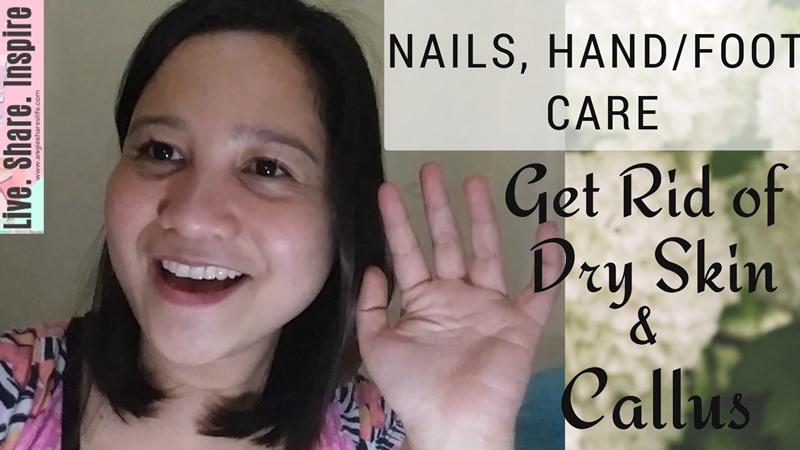 Nails, Hand/Foot Care - Get Rid of Dry Skin and Callus ~ Live. Share. Inspire. This video was filmed last January 14, 2018, a Sunday. I grabbed this opportunity to explain why I decided to make use of my real name in this channel and opted to just use 'Princess Mighani' in mobile legends. LOL. Kidding aside, I want to share with you my weekend routine every time I visit my favorite salon. I always feel relaxed and all cleaned up after a session of manicure, pedicure, foot spa and hair spa. I hope that after watching this video, you will be inspired to visit the nearest salon or suking parlor. Go go go! You have been working all week- your skin deserves a treat! You deserve to feel good and relaxed! I'm full of the joys of spring when see your new posts..I can solve difficulties by applying them.I believe that many people like me wait for your next posts.